A prominent member of the main opposition National Democratic Congress (NDC), Major Osahene Boakye-Djan (Rtd.) has backed calls for the party to reserve the running mate position for a Voltarian. This comes after a defeated National Organiser aspirant, Anita De-soso, a Voltarian, said at the National Delegates Congress of the party over the weekend that the defeat of many Voltarian candidates who were aspiring to frontline positions meant that Ewes had been sidelined from the game. Mr Samuel Ofosu Ampofo, an Akan, is now the newly-elected Chairman of the NDC after beating Dan Abodakpi, a Voltarian, and three other aspirants at the Congress. For the two-man General Secretary race, Johnson Asiedu Nketia, an Akan, beat his former Deputy, Koku Anyidoho, a Voltarian. Sammy Gyamfi, also an Akan, beat Fred Agbenyo, a Voltarian, to become the new National Communication Officer. The Volta Region is seen as the electoral ‘World Bank’ of the NDC. Some analyst and party members have, therefore, started making a case for a Voltarian to be made the running mate to whomever is elected flag bearer in December. The Volta Regional arm of the NDC, for instance, has called on the party to ensure that a Voltarian becomes the running mate. Speaking to Moro Awudu on the Executive Breakfast Show (EBS) on Class91.3FM on Monday, 19 November 2018, Major Boakye-Djan (Rtd) backed that call. He said: “Ethnocentrism in Ghanaian politics will never go away, has never gone away and is not going to go away soon, so, we need to balance it all the time. “You have a president who is from the north, General Secretary is from Brong Ahafo and then the others follow in that order. So, the major political groupings in Ghana today are the Northern block, the Akan block and the Gadangme-Ewe block, and, therefore, for a party to have a wider spread, it must reflect a representative from these three groups at the key positions. 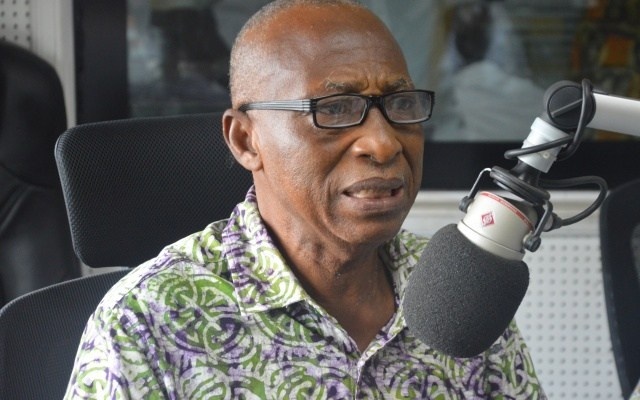 “You have Asiedu Nketia who represents basically the Akan group, so, I would have thought the chairmanship should go to the GaDangme-Ewe group to make the balance complete and that’s my worry because it means now that the vice-presidential slot is a non-negotiable position. It must go to either a GaDangme or Ewe person to balance the ticket at the top there. So, that is the case before us now. Otherwise, the top becomes heavy of Akans and they are not the only ones going to vote for the presidency. “But the party has spoken, even though I’m a party father, I respect their views but I felt there should have been a balance…” he said. Also, a political science lecturer of the Kwame Nkrumah University of Science and Technology (KNUST), Dr Kwesi Amakye, has said choosing former president Jerry John Rawlings’ daughter, Zanetor Agyeman-Rawlings – half Voltarian – as running mate should former president John Mahama win the flag bearer race, would be a smart move.